I have perfected Pad Thai. Now before you turn way from what you think is some empty claim, hear me out. Pad Thai was something I thought you just threw together. Much like any other stirfry. Nothing to it, right? Fry a few things, add some sauce, mix with noodles. Oh but there's so much more to a good Pad Thai! Let me be clear about it though - It.Is.Not.Difficult. Or time-consuming. Or even complicated. But there's a certain order to a proper Pad Thai. You're aiming for the perfect mix of crunchy sprouts and nuts, succulent chicken, fresh green herbs and saucy, glistening noodles. For you to sluuuuurp up. For this recipe you have to be quick. This is not the time for a leisurely glass of wine and an occasional peek into the pot to see how things are doing. The entire thing will come together in about twenty minutes. And this is one time that you absolutely must have everything ready prepped beforehand. No compromises. I like to pretend that I'm a celebrity chef on television, so it feels less food-geeky. The verdict? I think I have a new favourite meal. As for TheHusband? He likes the flavour, but "The noodles have a weird texture". Eh, what does he know. I think the pictures speak for themselves on this one! I'm submitting this to Weekend Herb Blogging #226, hosted by Erbe in Cucina (Cooking with Herbs). 1. Heat 1 tablespoon oil over high heat in a large wok. 2. Add chicken and cook briefly, stirring vigorously, until just starting to brown. 3. Meanwhile set your noodles in a bowl of warm water to soak. The noodles should just start to become pliable and lose their crispness, but should not be soft before you add it to the wok. 4. Add carrots to the wok and again cook briefly, stirring all the time to keep the food moving, until carrots starts to soften slightly - note it should still be mostly crisp! 5. Now add your (not entirely soft) noodles to the wok, along with the remainder of the oil, stir briefly to coat with oil, then add sauce and stir, cooking for a few minutes until the noodles are cooked. This shouldn't take more than 2 - 3 minutes. Add beansprouts as well during this time. 6. Move the noodles up to the sides of the wok and crack an egg into the bottom of the wok. Leave to solidify slightly for approx 30 seconds, then stir the egg so that it scrambles and cooks through. This will take another 1 - 2 minutes. The egg should still be slightly soft and not cooked dry. 7. Stir again to mix the egg into the noodles, then add peanuts, chives and coriander. Stir everything one last time to combine, then serve at once, accompanied by lemon wedges and little bowls of soy sauce, chillies, peanuts and coriander. *You can make your own Pad Thai sauce using a combination of fish sauce, palm sugar, tamarind pulp and chillies or cheat and use store bought. PS: Do check out Chez Pim's post on Pad Thai for beginners - she does a great job of explaining the whole process in great detail. Marisa this is a great post. Did you use natural light? You will get the hang of it soon!!! Keep it up!!! 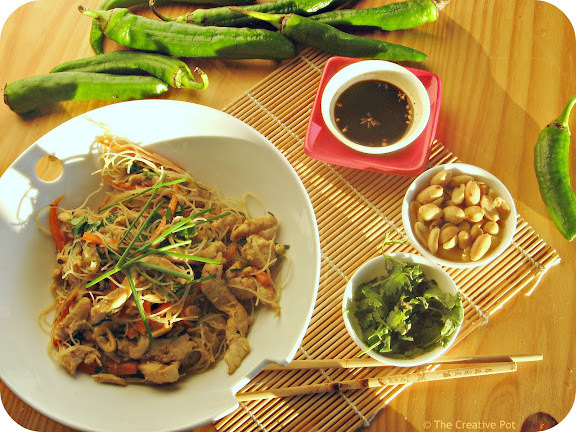 Good pad thai recipes are hard to come by! Thanks so much for sharing this, it looks delicious! Thanks Joanne - hope you enjoy it as much as I do! We got our Pad Thai tips from Chez Pim as well! We think our pad thai is better than any we can get in restaurants here in Vancouver. ;) Authenticity of Thai food here is not very great. Chez Pim's tips are really good - a big eye-opener for me. 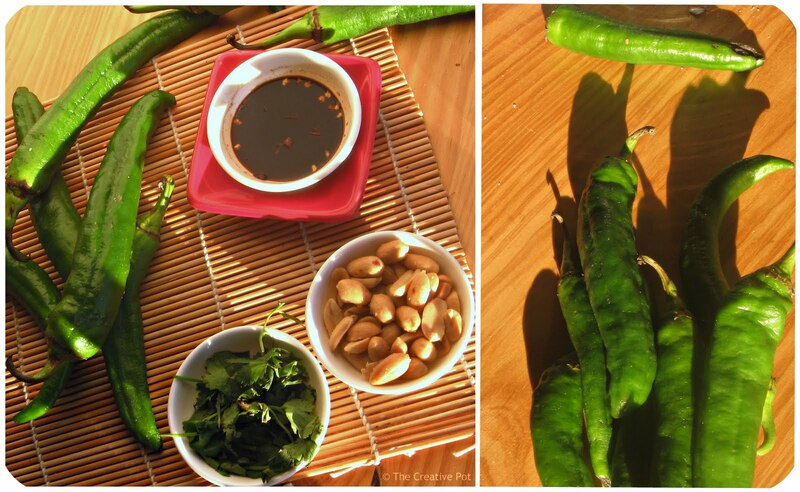 I always love all thai recipes, I think I will try your recipe very soon. I love pad thai! Looks delish. I so agree with you.....For me, the key to Pad Thai is having the sauce ...and a lot of it, to hand. I made this a few weeks ago and we gobbled it up.........kids and husband!!!!! This looks lovely! I have said it before - stir-frys are great, only when you take lots of time to prep first. I am saving this recipe for after lent, when I can have meat again. This looks great! Pad thai is always a very popular dish. My fiance loves it and always asks me to make it, so I think I might have to make it now since I'm inspired by your delicious looking dish! CREATIVE (foties) ... i like, i like..!